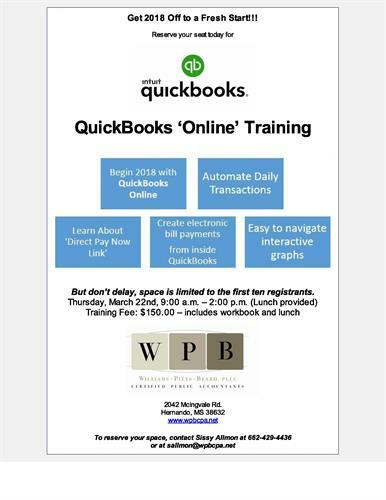 Begin 2018 with Quickbooks Online! Don't delay! Space is limited to the first ten registrants!